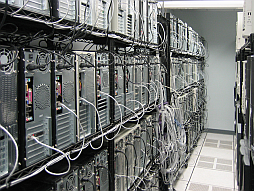 Web-Leader hosting company is providing cheap and reliable hosting services. It was founded in 2007 by a team of experts with more than 10 years of hosting experience with the idea of growing into a big and recognizable hosting business with thousands of clients. We have up-to-date software with outstanding cPanel hosting control panel to manage your sites and web-projects. Our backups are generated on a daily basis, so you can always contact us if you need to restore previous state of your site in case of emergency. If you feel that our hosting package does not meet your needs, we can refund your payment in standart of our 14 days moneyback policy. If you feel that you have not been treated the way you should have been, or you know how we can improve our hosting, please do not hesitate to contact our management department. 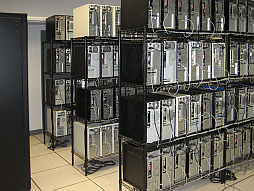 Our datacenter infrastructure is grounded on high-availability with both power and internet uplink backups. Web-Leader is always about stability and reliability. Our customers are proudly satisfied with the work of our support team, despite that they need it rarely. 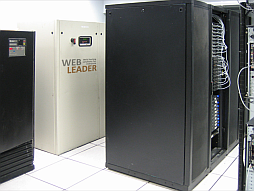 Web-Leader is well known for providing great hosting services all over the world. We are well recognized and top ranked by webhostingsearch.com for serving awesome low cost hosting in PA, USA and Canada. Pokud máte nějaké předzákladní otázky nebo chcete-li nás kontaktovat, použijte níže uvedený formulář.